A taste of Joanna on television, podcasts, radio, panels, and preaching. Carey Nieuwhof interviews Joanna about "Millennials in Ministry" on a nationally televised program called 100 Huntley Street. Joanna talks about the Church's "PR Problem" and how pastors can speak to a post-modern audience on a nationally televised program called 100 Huntley Street. Implementing the SCOPE system for communication requests and how Canada can teach Americans about doing ministry in a post-Christian culture. Part of Joanna's personal journey, and the Church's call to be translators in and to our world. Joanna is a cohost on a nationally televised talk show in its 3rd season. 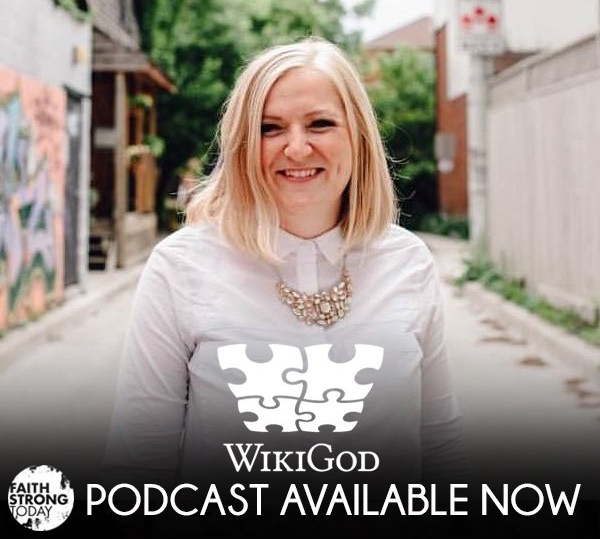 This conversation is all about how young people can actually find the mentors they desire in all aspects of their lives, and Joanna talks about building a personal "board of directors". As a young woman leader, have you ever struggled with opposition and stereotypes in your church? On this episode, three Millennial woman share openly and honestly about their love for the church and the challenges they face. In this episode, Joanna talks about our personal legacies and what the ripples of our life will be depending on how much we choose to live for others. We are joined by a guest from World Vision and talk about global issues of need. Things I wish I had learned or regrets I wish I never had in your 20's. The team at See Hear Love have had these thoughts and discussions. Special guest, Real Housewife Joan Kelley Walker joins to share her thoughts in this very honest and lively discussion. The team discuss why it's hard to find good girlfriends, trust issues with women, scripture that help us define healthy relationships, and what it means for us to be good girfriends to others. Joined by corporate trainer and COO of Eagle's Flight, Sue Wigston, Joanna and the SHL team talk about hiring millennials, how to have the right expectations for your career, and how to get paid to live out your passions.